Launch event at the Plymouth Hope Festival and Family Fun Day, Brickfields Sports Centre, on Saturday 16 June from 10am to 5pm. Partners in Plymouth including the University are holding a series of events to celebrate Refugee Week and the contribution of displaced people to our society, from Saturday 16 - Friday 22 June. Led by Plymouth Refugee Communities Forum with help from a network of volunteers, Plymouth City Council, the University of Plymouth, Devon and Cornwall Refugee Support, British Red Cross, START (Students and Refugees Together), and Plymouth Community Homes are among the organisations supporting events throughout the week. The theme of this, the 20th Refugee Week, nationally is '20 Simple Acts'. Supporters are encouraged to carry out one of 20 actions ranging from sharing a refugee story or writing a poem to learning five facts about refugees. You can find out more about 20 Simple Acts here: http://refugeeweek.org.uk/simple-acts/. Launching the week in the city is the Plymouth Hope Festival and Family Fun Day at Brickfields Sports Centre on Saturday 16 June, which includes a football tournament, music, performers, children’s activities, art and crafts and a barbecue. The event is from 10am to 5pm and all are welcome. University of Plymouth Senior Lecturer in Law Rosie Brennan helped organise the week’s events, two of which are taking place at the University. She said: “This week is a chance for people to come together, have fun and make friends and celebrate refugee week. It is a way to show solidarity with people who have been forced to leave everything behind, but also to think about all the positive things that those people have brought our society. 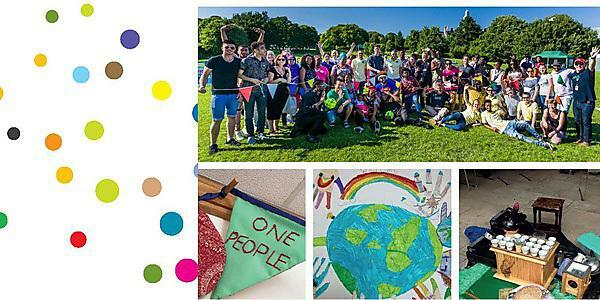 Councillor Chris Penberthy, Cabinet Member for Housing and Cooperative Development for Plymouth City Council, said: “We are delighted to once again celebrate Refugee Week in Plymouth. I’m really looking forward to attending some of the events over the next few days and hope that lots of other local people will also get involved with some of the fantastic activities that are taking place. For more information about Refugee Week visit https://www.plymouth.ac.uk/whats-on/refugee-week-2018, or download the full programme of events. The Refugee Family Reunion project in partnership with the British Red Cross, has contributed to a campaign to make it easier for refugees to be reunited with their families. A group from Plymouth’s Refugee Family Reunion project travelled to Westminster to take part in a parliamentary event, organised by the British Red Cross, to support the Refugees (Family Reunion) Bill that seeks to relax the strict rules around family reunion.